1. The solar radiation is carcinogenic, whether their source is natural or artificial. In other words, the sunbed salon is not a better and safer option than the sun. 2. Sunburn is caused by ultraviolet rays (A and B), two types of light waves emitted by the sun. 3. It is not known exactly which of the two types of rays are more strongly linked to skin cancer, but the fact is that both types cause alterations in the DNA code located in the nucleus of skin cells. These alterations are responsible for the first symptoms of cancer. 4. The longer you stay in the sun without protection, the more you increase your chances of developing skin cancer. 5. UV rays alter the skin’s pigment and weaken the collagen found in the skin cells. 1. There is no need to worry if you do not sit directly in the sunlight. Sure, a shirt made of thin cotton, an umbrella, or even a cloudy sky, create the false impression that you’re protected. The truth is that the protection is minimal and insufficient to protect you 100% of the harmful effects of the ultraviolet light. 2. People with dark skin are not at risk. That’s completely false! Though statistics show that 70% of the skin cancer cases occur in people with fair skin, it does not mean that skin pigments suddenly become an unbeatable protective shield. The UV rays do not make any difference between the various types of skin, and their effect is equally harmful. 3. The solarium offers the opportunity to sunbathe without risks. Many men and women are convinced that sunbeds will not damage their skin. However, most lamps used in tanning salons emit both UVA and UVB rays. The amount of UVA emission in 15 minutes is 10 times bigger than the one you would face on the beach. That means 15 minutes = 1.5 hours of tanning in the sun. 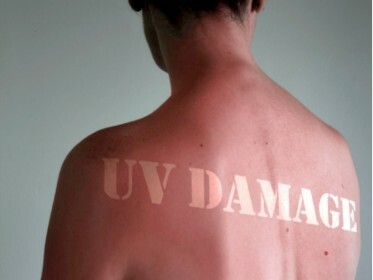 As you can see, excessive and unprotected sun exposure can have damaging consequences on your health and appearance. You can get a good tan by safer methods. Spray tans and tanning tablets are much safer and very effective. Spray tans are more expensive if you want to have a tan all year round but you can make each application last a little long by following our spray tan tips that work.